This pen aids the Zeta Woman in writing HERStory! 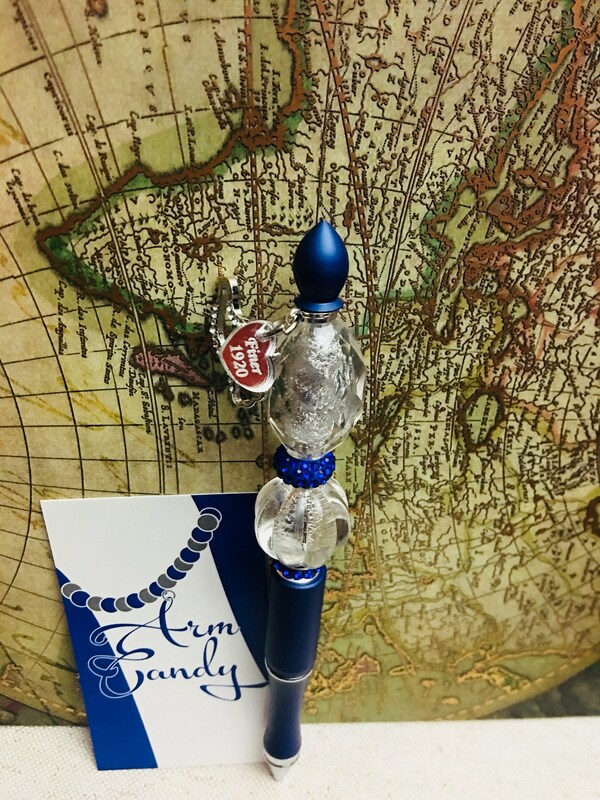 The Pen is beautifully beaded with various types of beads and accented with a Zeta charm for the Finer Zeta Lady! 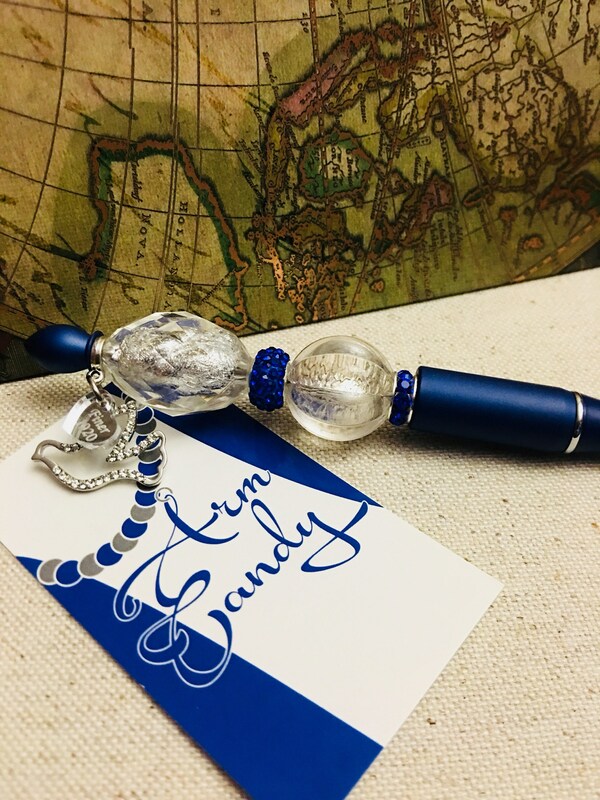 As a certified vendor for Zeta Phi Beta Sorority, Inc., I am excited to offer these unique pens to help write your story! The Pen has a metal 6 inch base and is medium point black ink. Simply twist the base of the pen to begin writing. The pen comes with a velvet pouch for protection. Refillable ink cartridges are available for $2.00.